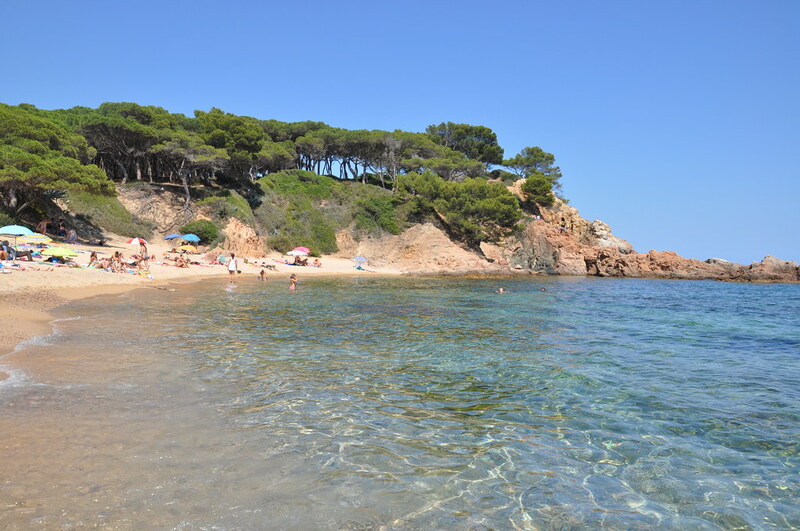 Quando passámos férias na Costa Brava estava a custar-nos um pouco encontrar aquelas “calas” ou pequenas praias com pouca gente que tanta boa publicidade fazem á zona. Sabíamos que elas existiam só não sabíamos muito bem onde, até que percebemos que mesmo ao lado do nosso alojamento na Platja D’Aro havia uma Praia que não sendo a típica cala pequena conseguia manter esse espírito: Sa Conca. 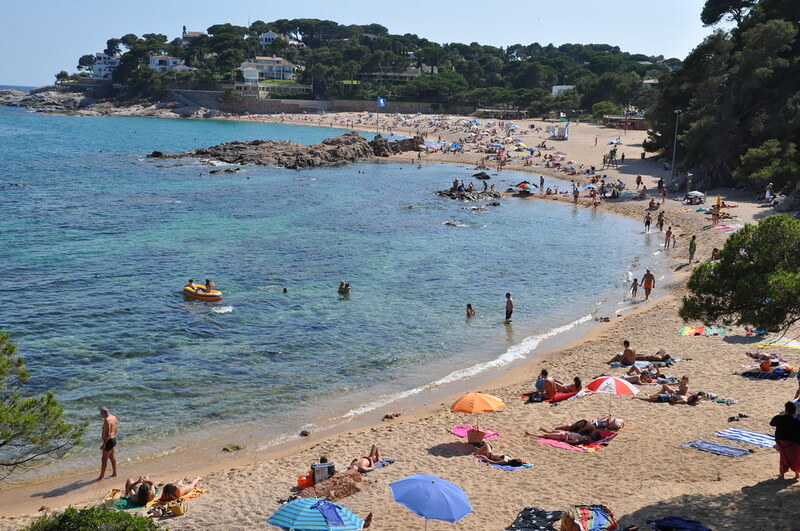 When we were spending our holidays on the Costa Brava it was costing us a bit to find those “calas” or small beaches with few people that do so much good publicity of the area. 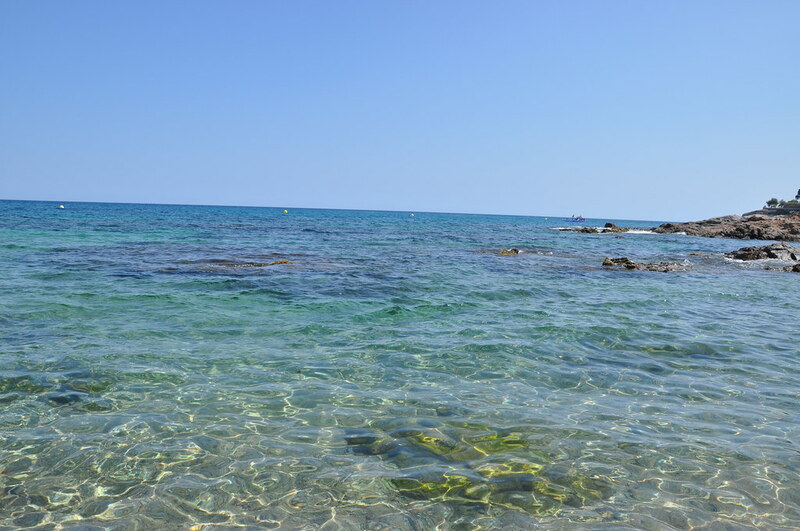 We knew they existed but we didn’t knew very well where, until we realized that right beside our accommodation in Platja D’Aro there was a beach that is not the typical small cala but could keep this spirit: Sa Conca. Fomos duas vezes. A primeira entrámos pela zona sul da praia (o troço maior de praia), um acesso um pouco complicado porque é feito pelo condominio privado o que significa que temos que deixar o carro num estacionamento na parte de cima e descer pelo tal bairro privado (invejar as grandes casas que por lá se vê). A segunda vez entrámos pela zona da marina, também é complicado estacionar e depois andamos um pouco a pé por um pinhal, ainda assim entre as duas opções esta última será a mais fácil, leva á parte mais pequena da praia e também á parte que fica mais cheia. 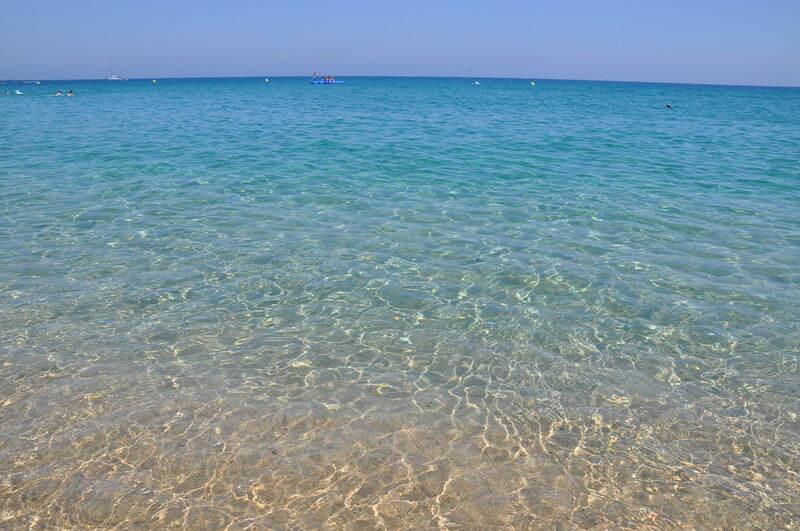 As suas águas cristalinas e com uma temperatura agradável, a areia de cor dourada (um pouco mais grossa que o habitual) e o facto de não ter muita gente fizeram desta praia uma das nossas favoritas da Costa Brava. We went twice. First we entered the southern area of the beach (the largest stretch of beach), the access was a bit tricky because it is done by private condominium which means we have to leave the car in a parking lot at the top and go down by such private neighborhood (and envy the large houses that you see there). 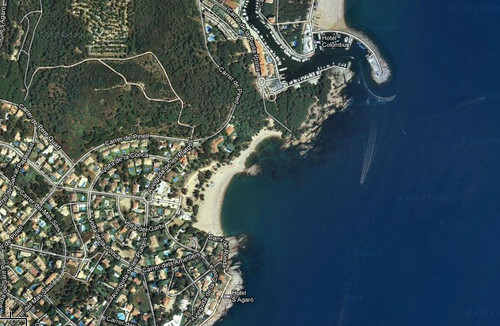 The second time we entered the marina area, it is also difficult to park and then we had to walk a bit through a pine forest, still between the two options this last one was easier, it leads to the smaller part of the beach and also the one with more people. 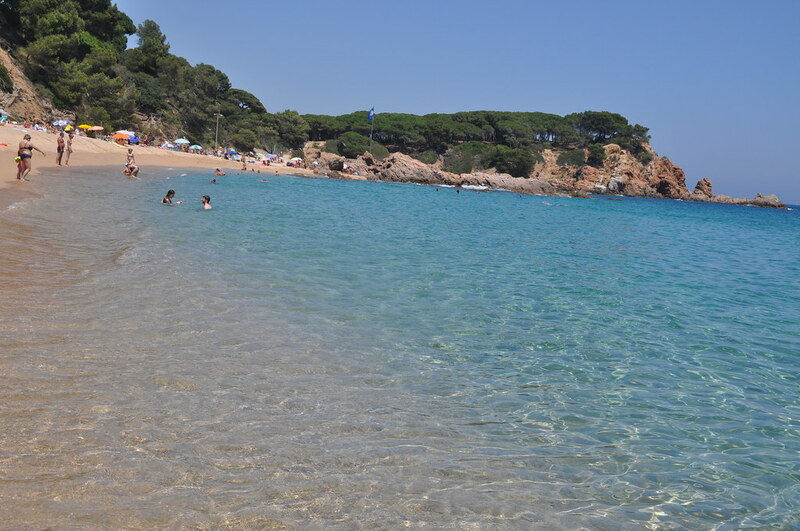 Its crystal clear waters and a pleasant temperature, the sand of golden color (a little thicker than usual) and the fact that there weren’t too many people have made ​​this, one of our favorite beaches on the Costa Brava. 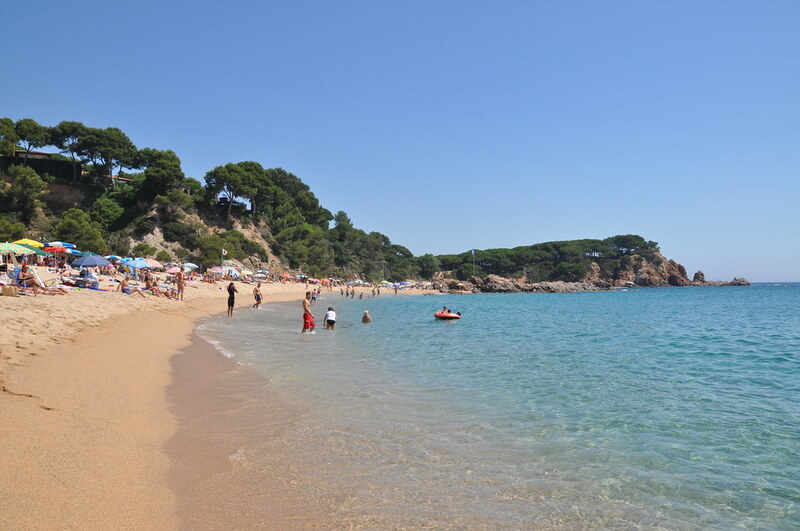 Costa Brava is an wonderful place for spending holiday's. Thanks for sharing such an interesting blog.